I got up much after I had originally planned to, and ended up being a little late to get ready. As I got ready, I fired up a couple of cab-hailing apps and took stock of the situation. I confirmed the booking with Uber and left home. The cabbie arrived as I reached the gate of my apartment. The driver was a bit sleepy - he seemed to have been sleeping when he got my booking. He started off from my place around 0610hrs - he was slow at the beginning, then picked up pace, but not fast or rash. Roads were quite deserted - traffic builds up past 8am in Bengaluru, and its hell right after that time. The Uber app acted up enroute and resulted in a short delay since the driver stopped, had to sign out of the app, sign in again and so on. I was dropped at the airport by about 0712hrs. The terminal entry points weren't very crowded, but there were queues at all entry points. I joined the check-in queue by 0714hrs. Like my last time (in April 2016), Air India check-in counters were quite crowded this time too. The queue moved quite slowly - perhaps, since only 4 counters were open for economy class. 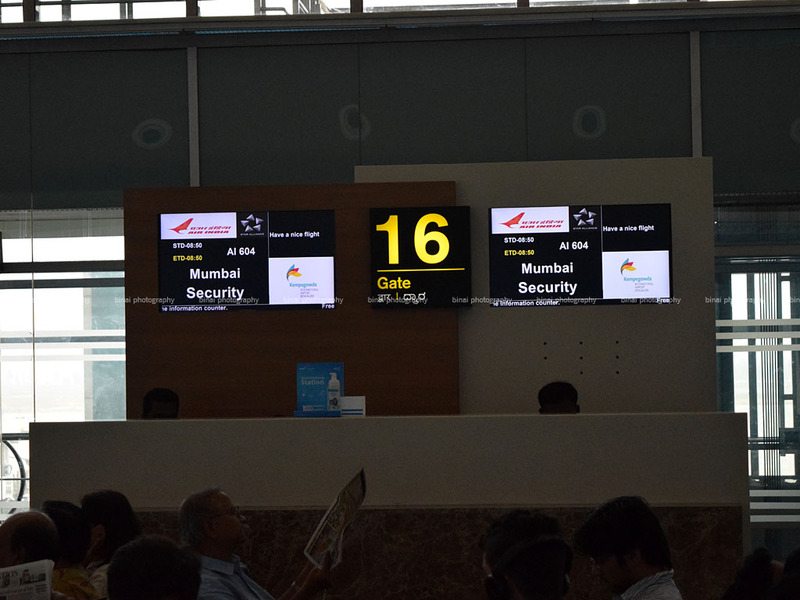 They kept calling out passengers for flights that were closing before my flight - those were Agatti/Kochi, and Hyderabad/Pune. As my turn came, I was signalled to use the Executive class counter for check-in - a good way of crowd management, I must say. I've always felt AI-SATS ground staff are quite efficient in their job. 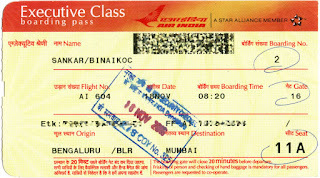 I got my boarding card by 0725 - the agent at the counter informed me of where my boarding gate was, and which way should I head. 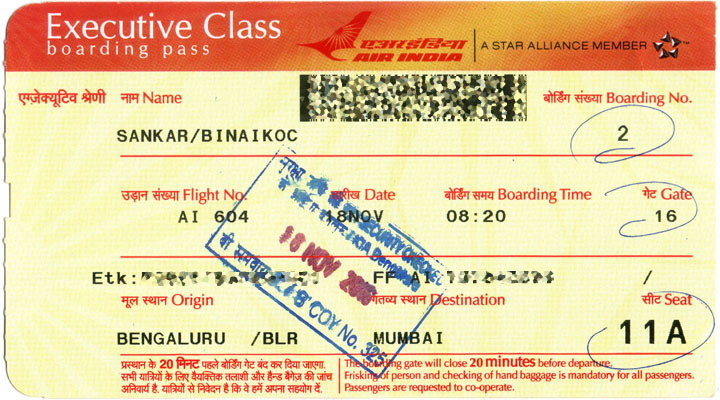 My boarding card - note, it reads "Executive Class", while I was actually in Economy. Although I had originally selected seat #5A during booking, the seat preference got reset, and I had opted for #11A during web check-in. 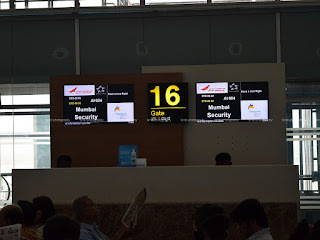 My flight was to board from gate #16 - the last contact stand for domestic departures. Security was a mess - the queues were too long, looked confused and competed with snails in terms of speed. I finally cleared security by 0743hrs and walked into security hold. I was a bit confused if I should grab something to eat or wait for Air India's breakfast! I also wanted to try the Above Ground Lounge, but there was hardly any time. 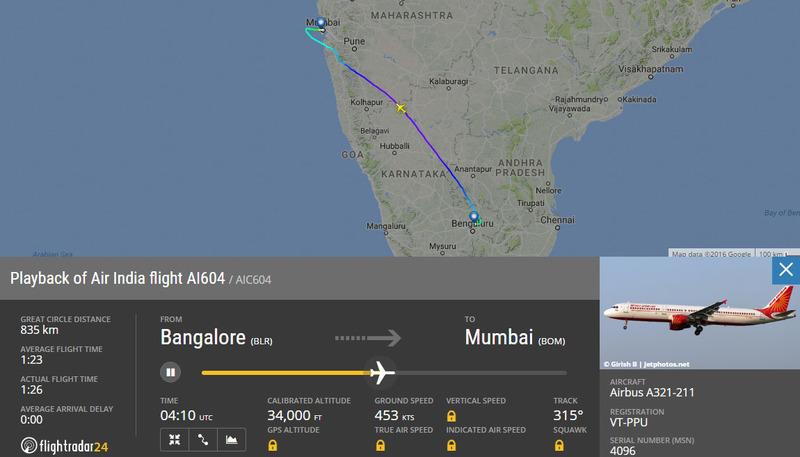 A quick look at FlightRadar24 revealed that my aircraft was already inbound. VT-PPU arriving at the gate.. The inbound aircraft, VT-PPU - an Airbus A321-211 delivered to Air India in November 2009, came to the gate by 0800hrs. I was feeling a bit hungry by then, and decided to grab something to have quickly, and headed to a nearby restaurant. 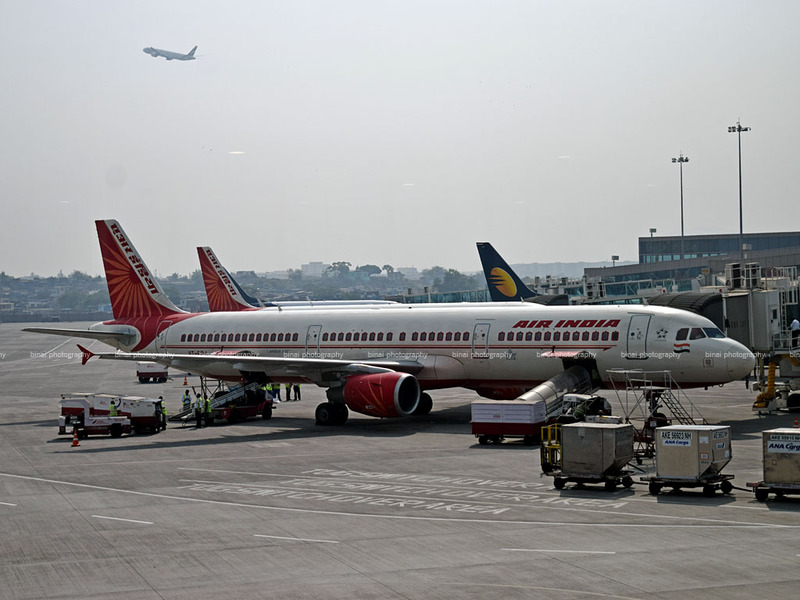 While having my breakfast, the BLR Airport app (the airport's official app) alerted me that boarding had commenced. I quickly finished by breakfast and rushed to the gate, which was a little away from where I was. The queue at the gate wasn't very long and I joined the queue. A zone-wise boarding was implemented, and hence boarding was quite orderly. I was inside the aircraft by about 0821hrs - almost 30 minutes to go for departure. Boarding was quite slow, and was done by 0846hrs. 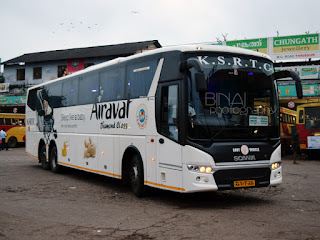 The doors were armed by 0847hrs and we were pushed back at 0848hrs. 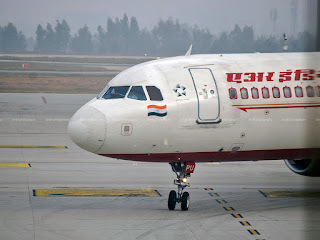 In the deck was Capt Prakash Kotekar, and Ms Pamela was the cabin crew incharge. The cabin crew were largely male. Safety demonstration began soon after pushback, and was quite hurried through. We started taxi at 0853hrs - we had a long taxi to the holding point of Rwy09. 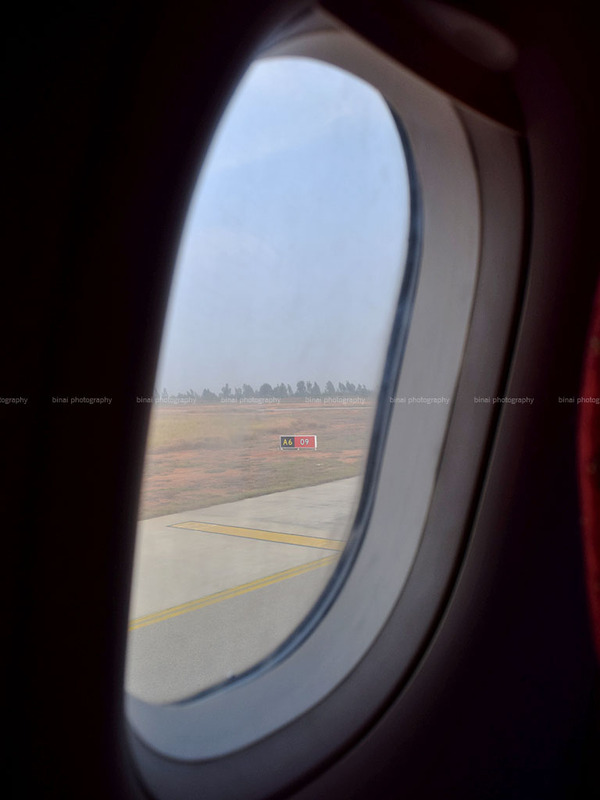 We had to hold on for sometime for another Air India A321 to touch down. We entered the active runway at 0901, and powered down the runway for the take-off roll. We were airborne at 0902hrs. We climbed out fast, to the east, before setting a North-west direction. The seatbelt signs were turned off at 0907hrs - this was followed by an announcement was breakfast would be served shortly. The meal trolleys rolled out in no time - the sight of the trolleys made me quite hungry. I had noticed that meals were loaded from Taj-SATS trucks - so delicious food on the way! The FAs seemed quite confused - they were serving in a very jumbled up way. The FA at my row gave out two options - Veg or Egg. My choice was obvious - the Veg tray was handed over. 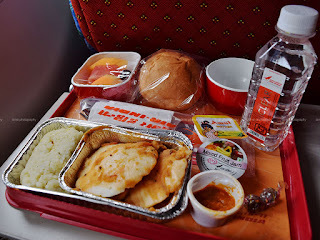 The tray had an aluminum foil container with a "VEG BRF" sticker on it, a bottle of water, a small container with tomato based chutney, a butter chiplet, a small serving of mixed fruit jam, assorted fruits, a bun, stainless steel cutlery and a cup for hot beverages that would follow. The unique imli candy was present as well. 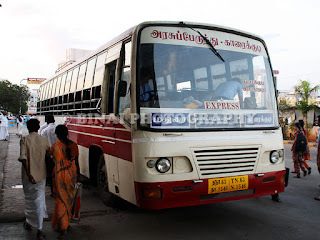 The container had a small service of Pongal and a couple of Idlis dipped in Sambhar. The Pongal, technically called Venn Pongal (or White Pongal) or Khara Pongal (salty pongal), is a preparation made of rice and green gram, and is typically served for breakfast in Tamilnadu, was quite dry and tasted bland - but the chutney was a good addition to it. The Idly (steamed cakes made of a fermented black lentils and rice batter) was perfectly cook, but the Sambhar (lentil based stew) had all dried up, and the re-heating on board perhaps worsened it, and all that was left was a lentil cream. But what was left, tasted really good. The fruit platter contained once slice each of Watermelon, Muskmelon and Papaya, and one grape. The bun was not very soft, not very dry. I finished my breakfast quite fast - the overall taste was great. So was the quantity. I waited for the hot beverage service - I opted for coffee, which came first as well. That was perhaps the best coffee I've had in a flight. Great meal on this flight - but give a full 5 on 5 for that. 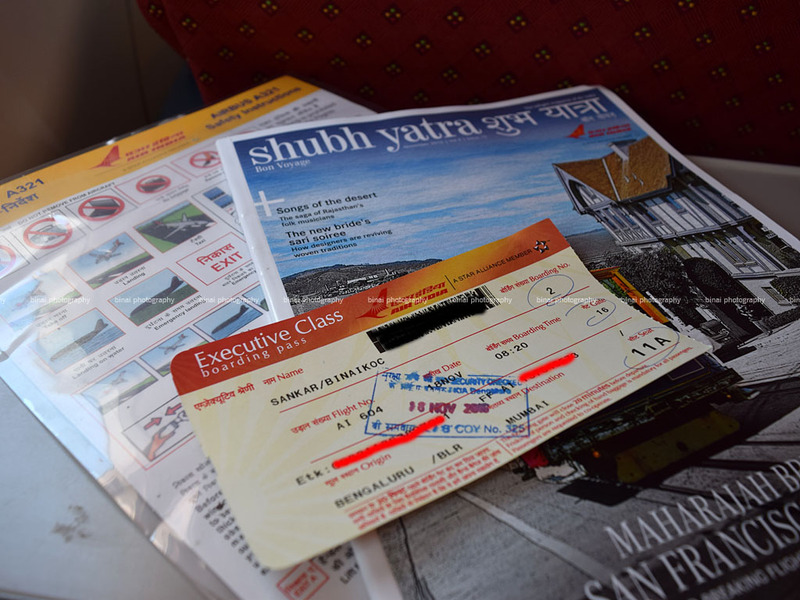 In the meantime, we had already entered Maharashta, and were flying around Mahabaleshwar. A quick look my phone confirmed that we were probably lining up to land from the West - which would be a first for me, since all the landings I've had in Mumbai were approached from the east. 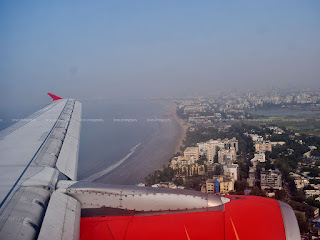 Soon we flew past the Western coast of India, and we were heading to the Arabian sea. We flew to the sea for sometime before turning around and lining up with the ILS approach. 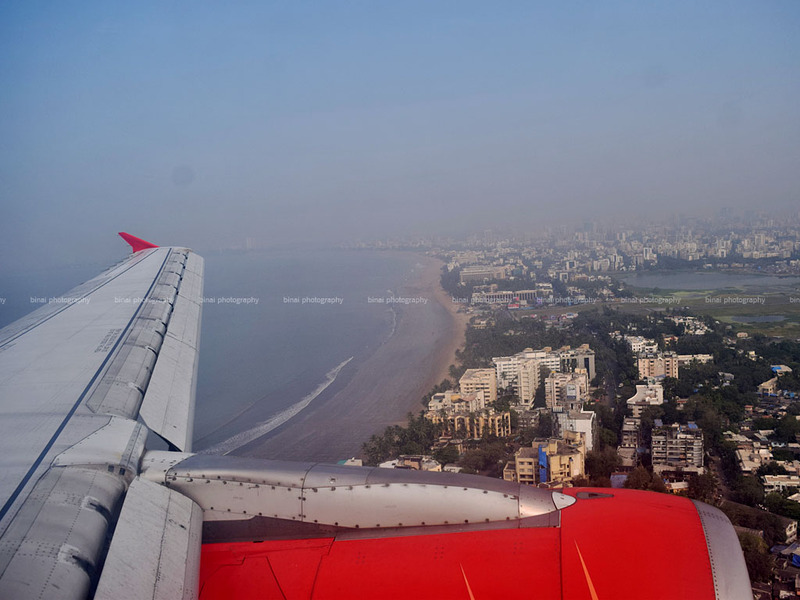 I became excited as we approached the land - buildings became visible in the horizon long before the shore became visible - we flew past Juhu beach, then the almost defunct Juhu airport and finally touched down on Rwy09 at 1028hrs. Landing on Rwy09 meant we exited directly to the apron on T2 - this reduced the taxi time. 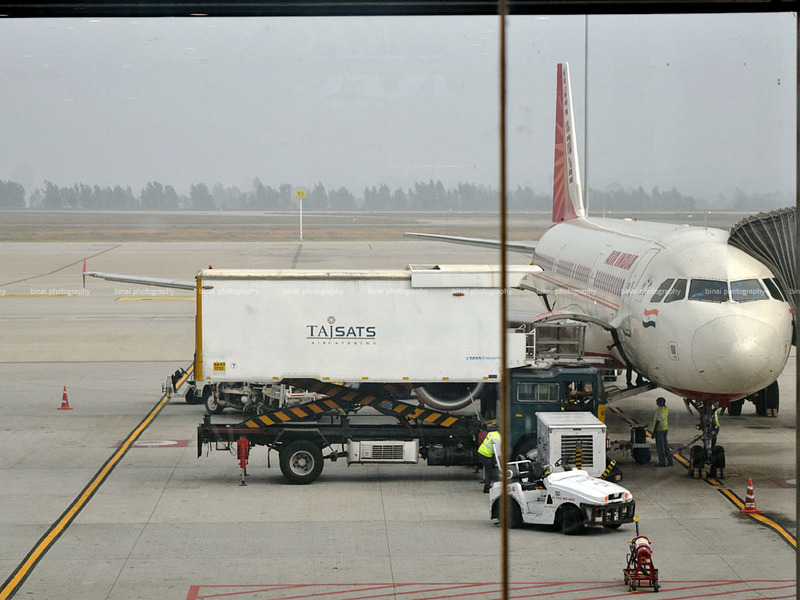 We had to hold on for some time on the apron due to a lot of aircraft movements on the domestic side of T2. We finally docked at a contact stand by 1037hrs. 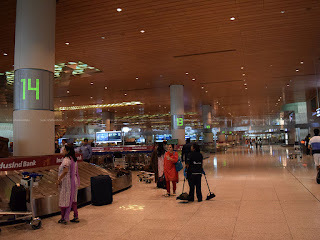 I was quite excited about my second visit to Mumbai's T2, aka Terminal 2. I was out of the aircraft by 1043hrs - I was super excited about the terminal. 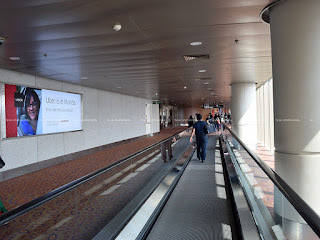 I liked the place last time as well - but this time, it was a very very long walk to the baggage reclaim area. But the walk let me click some pics of my aircraft as well. The baggage took a lot of time to be delivered - I got my bag by around 1059hrs, and got out of the airport by 1101hrs. 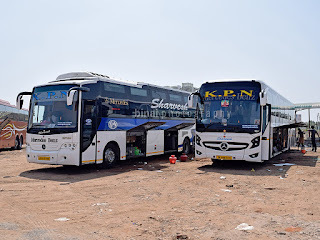 Being a public-transport fanatic, I walked straight to the city bus pick-up point, and took a bus to Powai, from where I changed over to another bus to head to Navi Mumbai. The Maharaja stood to his reputation. A great flight with Air India. Clean aircraft, awesome leg room, amazing food and a great service from the crew. The chief of cabin crew appeared a little bossy with her colleagues - but she smiled while speaking to passengers and remained in the economy section for most of the time. 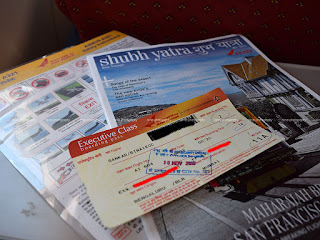 Overall a great flight with Air India. Way to go Maharaja!